Chief Minister Amarinder Singh on Monday said while the government welcomed healthy criticism, the opposition should refrain from criticism just for the sake of criticism. 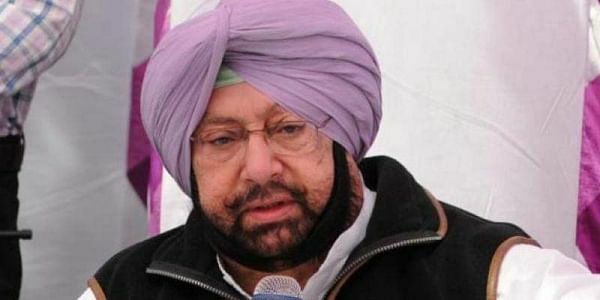 CHANDIGARH: With political opponents questioning his style of functioning and Punjab government's performance, Chief Minister Amarinder Singh on Monday said while it welcomed healthy criticism, the opposition should refrain from criticism just for the sake of criticism. Addressing first-time legislators at an orientation programme here, the senior Congress leader urged all assembly members to follow basic etiquette and courtesies of legislative procedures, and play a constructive and positive role in the larger public interest. The two-day Special Orientation Programme has been organised by the Punjab Vidhan Sabha in collaboration with the Mahatma Gandhi State Institute for Public Administration. "Constructive opposition of the government's policies and programmes will help achieve better results in implementing its pro-people initiatives efficaciously. All members should follow etiquette and legislative procedures, traditions and conventions laid down for discussions in the house," Singh said. He said discussions will be useful in imbuing discipline in the MLAs and teach them how to make optimum use of time in public interest. These will also help the MLAs become aware of their rights during the Question Hour and Zero Hour, besides routine legislative business. Speaker Rana K.P. Singh said that the initiative, mooted by the Chief Minister, was aimed at transference of knowledge on legislative traditions and practices to the new members. Leader of the Opposition and Aam Aadmi Party legislator Sukhpal Singh Khaira said that the training programme will strengthen the legislature.